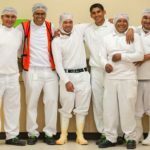 For the last few weeks, I’ve been working on a agriculture photography project at a dairy farm near Denmark, Wisconsin. 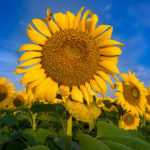 My goal is to build up my agriculture photography work for my web site and my agriculture stock photography library. Old Settlers Dairy, run by brothers David and Don Schlies, has been nice enough to let me hangout and shoot photos when I have time. I’ve only been out a few times, but I’ve already made some nice photos and learned a few things about farming. Last night I was out shooting some planting when I saw David’s son Jeremy washing an old tractor with his friend, Casey. 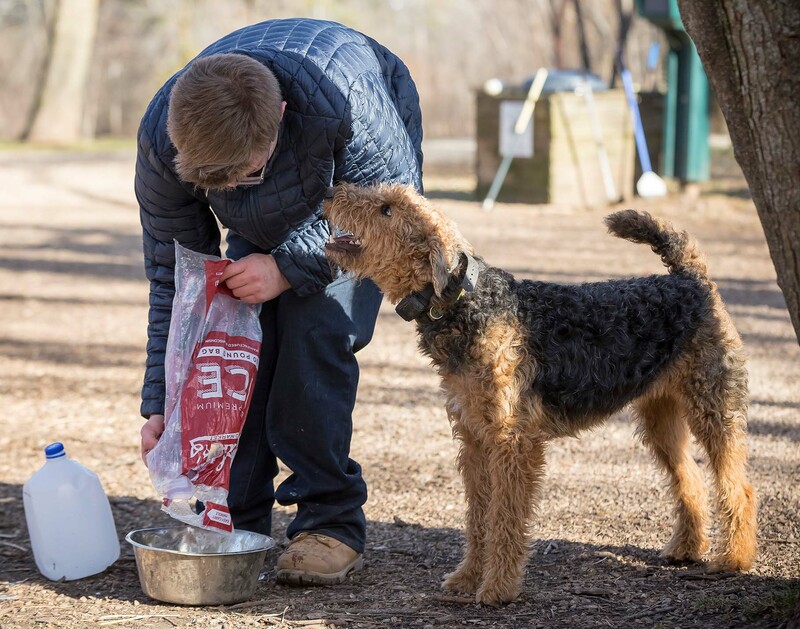 They are both juniors at Denmark High School and Casey also works at the farm. After a brief chat, I found out that they were washing that tractor and two more to get ready for “Take Your Tractor To School Day” at the high school. They cleaned up a total of 3 tractors: one for Jeremy, one for Casey, and one tractor for Jeremy’s mom, Julie, who teaches in Denmark. I couldn’t pass up that photo opportunity. Here are some of my favorite photos from the event, beginning with the shot of the two of them washing the tractor. 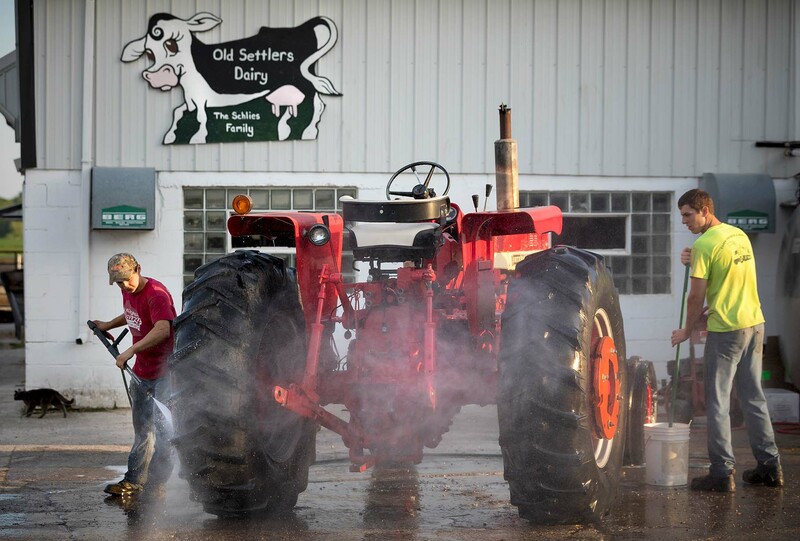 Jeremy Schlies and Casey Tisler wash a tractor at Old Settlers Dairy for the next days “Take Your Tractor To School Day” at Denmark High School. Jeremy does a little last minute touchup before heading out. 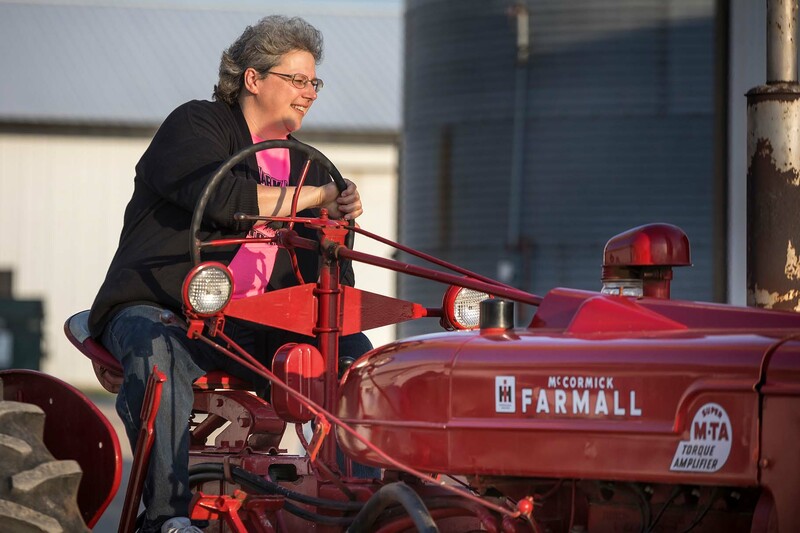 Julie Schlies is all smiles as she heads out on her tractor. 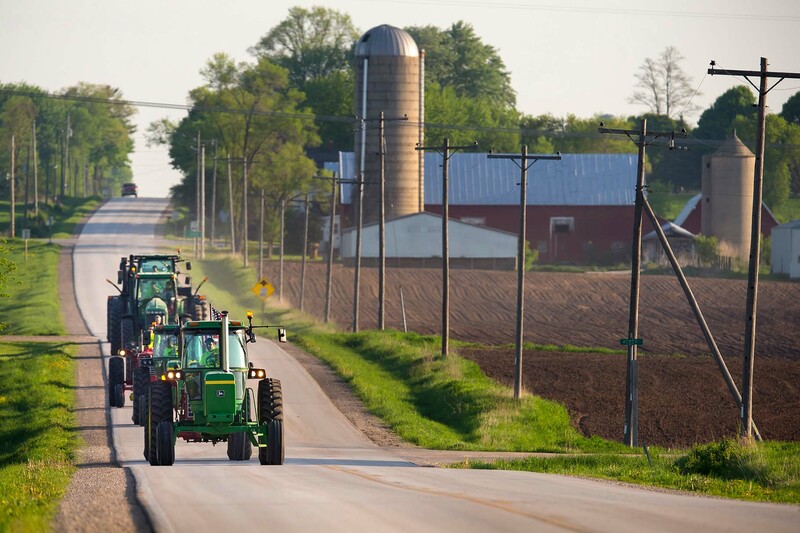 Tractors caravan down a rural road near Denmark as they head to a meeting spot to gather with the other students and faculty. Students watch other tractors pull in to the meeting spot before heading to the high school. 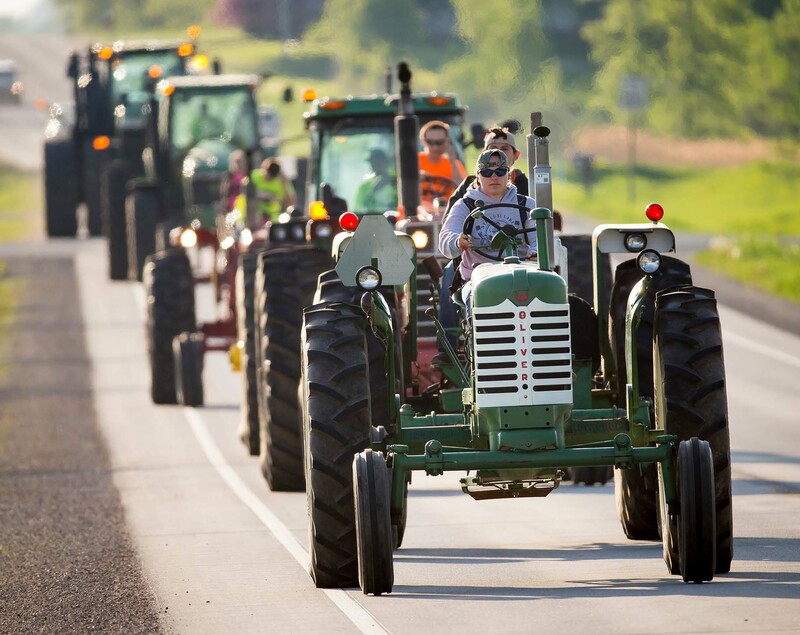 Students and their tractors gather at the McDonalds in Denmark, Wisconsin before caravanning to the high school. 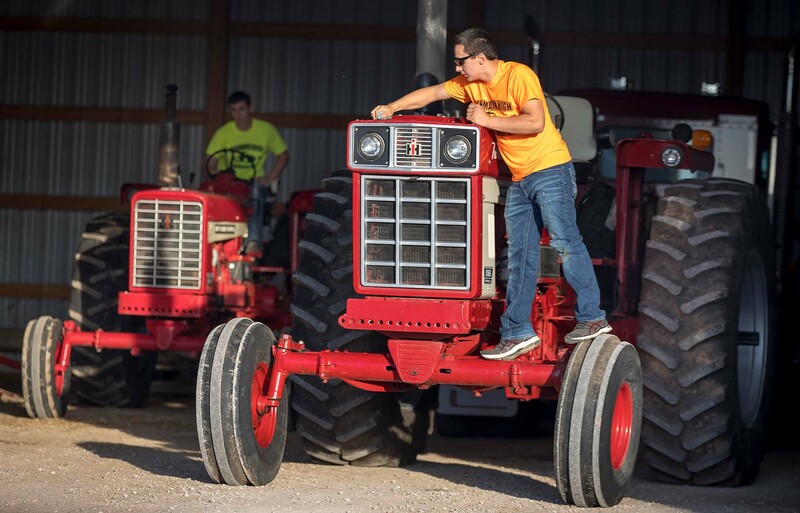 Students drove tractors of all sizes. Students gather for a photo before heading in to class.